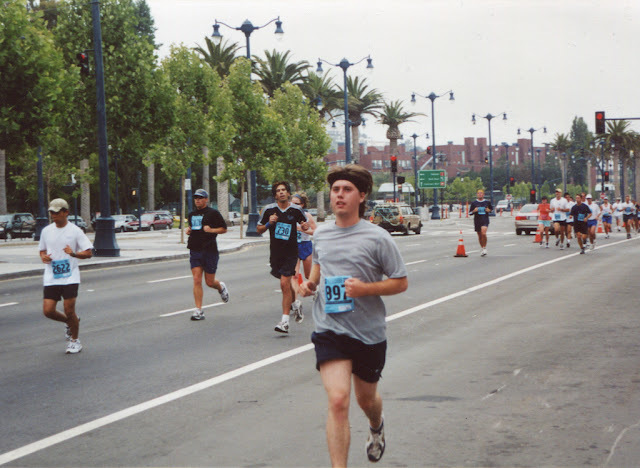 Ten years ago in May I decided to run the San Francisco marathon in July of that year, and started training right away. I finished the race in 3:47, which was pretty much a miracle because I hit a wall in the last couple miles and found myself walking along the Great Highway. 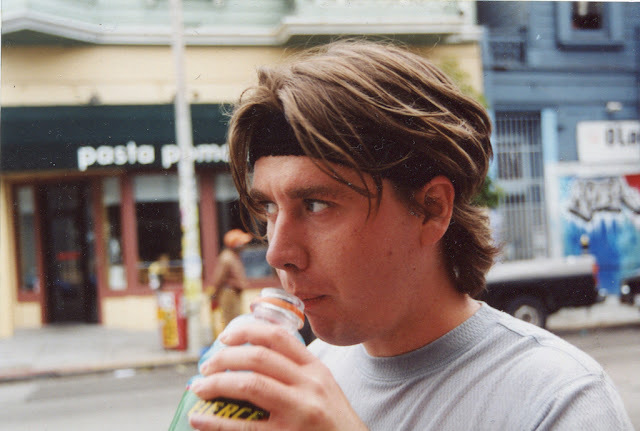 The only thing that inspired me to start running again was the moment I saw one of my competitors pull a single cigarette and a lighter from a velcro armband and light it up at around mile 24. That guy? I said. I have to beat that guy. I have run inconsistently since then, but I've never sunk to the point where you couldn't pull me off the couch and force me to run ten miles at gunpoint. But, you know, I ain't exactly the same man I was at 24. He has no idea that in four years he'll be married and have a daughter, or that his law career will be over in five. Or that he'll spend five years of the next decade as a stay-at-home dad in Detroit. And have a son. Look at that guy. He has no idea how lucky he's about to become.